How can there be a single model of all diseases? I anticipate the question. Aren’t medical models proposed to reduce complexities of scientific knowledge of human biology to workable simplicities in clinical medicine? I expect that question as well. If there is a single model for all chronic disease, doesn’t that mean that there would a single treatment for all chronic diseases? Isn’t that simple-minded to propose such a frivolous answer. These are also questions that Charles Darwin once faced. I want in Darwin’s foot steps and do expect some of the mockery that he confronted. Oxygen is the primary nutrient for humans. Darwin would have recognized that. Perhaps he did but left no record of that. Or, he was not a physician and did not tangle with them as well. So I am neither surprised nor discouraged by some snickering on the words of the title of this article. Below, I state my Oxygen Model of Every Chronic Diseases and invite readers to consider the facts of human biology presented in this and related article in which I present oxygen models of specific diseases (search words: Dr. Ali’s Oxygen Models of Diseases) and marshal evidence to support them. Later in this article, I present some texts from an article published in science journal Nature to make one essential point in all aspects of health and disease. 6. Oxygen’s cellular repair roles. The Oxygen Model of Every Chronic Disease provides a simple model that allows physicians to reduce complexities of diverse clinical syndromes into a workable simplicity. This model predicts that ongoing research will reveal that components of acidosis (excess acidity), oxidosis (increased oxidative stress), and CUD (clotting-unclotting dysequilibrium) will be found to play important roles in the pathology and clinical features of all chronic diseases. 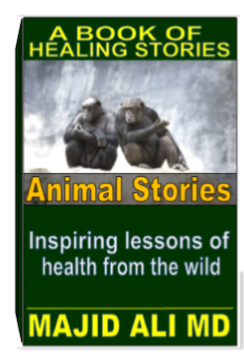 * Provides explanations of mechanisms by which time-honored natural remedies work by restoring oxygen homeostasis work. All environmental signals in the body, of course, and governed by oxygen. All environmental signals for the process of lineage specification are also governed by oxygen. Please enter the following in you search box to access my articles marshaling evidence for my oxygen models of diseses.